Run away from the big bad wolf and towards a rich trove of wins and prizes. 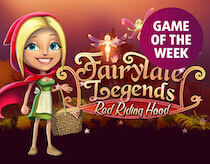 Stake €10 on Red Riding Hood between 29th Jan and 04th of Feb and you’ll receive up to €500 worth of free spins for NRVNA by Monday 06th! 1. Stake at least €10 on Red Riding Hood. 2. You’ll receive a winner’s notification email on Monday 06th of Febuary. 3. Collect your bonus of up to €500 worth of free spins on the NRVNA slot! 1. To qualify for this promotion you must be aged 18 years or over and play the advertised Game of the Week within the promotional period. 2. The promotion will run between Sunday, 29 January 00:00 CET and Saturday, 04 February 23:59 CET. 3. Promotion is available to new and existing players. 4. Players must stake at least €10 on the Game of the Week within the promotional period to be entitled to the free spins bonus. 5. The free spins bonus will be credited to eligible player's accounts 48 hours after the promotional period. 6. 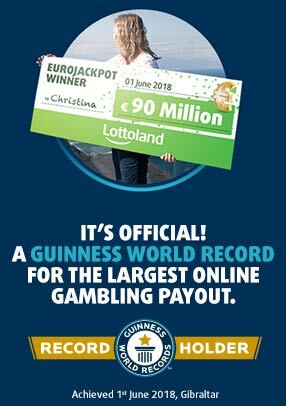 The maximum bonus to be paid out is €500 worth of free spins. 7. You have 7 days to claim the free spins bonus. If the free spins haven't been used within the valid period, they will automatically expire. 8. Players must have made at least one real-money deposit to qualify for the promotion. 9. The Game of the Week bonus is subject to our normal payout procedures, including account verification. 10. The Game of the Week promotion can only be claimed once during the promotional period. 11.Any participant found to be operating multiple accounts in promotions will be in breach of these and general account terms and the promoter will determine at its sole discretion by whatever means it deems necessary to establish if different entries or accounts are connected to the same person. Bonus offers are limited to one bonus per person, and/or payment method unless otherwise stated. Hit two or more wild symbols to trigger the sticky wild respin. Wilds hold in place whilst the remaining reels respin. Add more wilds for more respins or simply wait to see what prizes lie in store for you. Stop in 3 scatter symbols to activate one of the three bonus games. These include the Beware the Wolf bonus, Free Spins and Coin Win. The Beware the Wolf bonus is a trail game that has you progressing round a segmented pathway picking up coins, doubling money, landing jackpots and changing directions. Land on a collect space and you’ll be paid out. Free spins sees you land on the bonus reels with 10 free spins under your belt. Earn extra spins with bonus symbols and trigger the sticky wild mechanism with wilds appearing on all 5 reels. Coin win awards an instant prize equal to your current bet size x15.